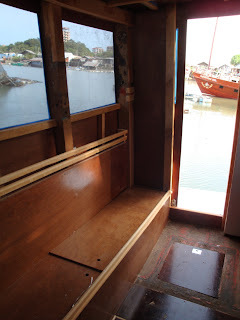 Wheelhouse carpentry work is now finished. 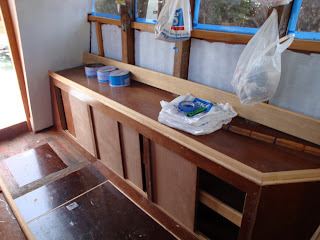 We are now focussing on external painting, must admit I am doing a very basic work boat finish with no fairing, but am using two pack local International paint. 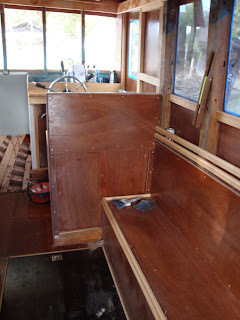 Also want to get started on a railing on top of the wheelhouse this week and adjust the height of the forward awning, plus fit the swim platform.